The senior registrars in Oral Pathology Department will be working with me to deliver a 45 minutes talk at the patient waiting area of the dental school. 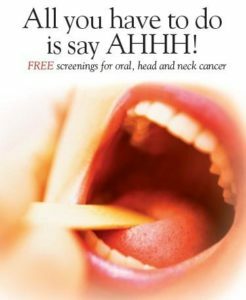 Vivid examples and simple language will be used to describe early and late features of oral cancer, with emphasis on early presentation, even when in doubt. Adequate time.